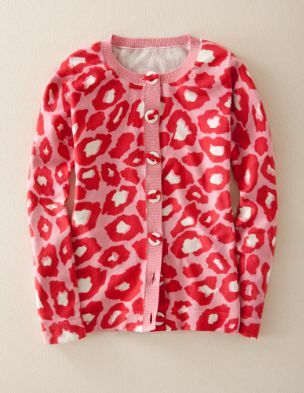 A bold cardigan will add spice to any outfit especially in this fun and artistic leopard animal print. Available in raspberry and mocha. We think the adorable knotted-ribbon buttons are rather eye-catching too.